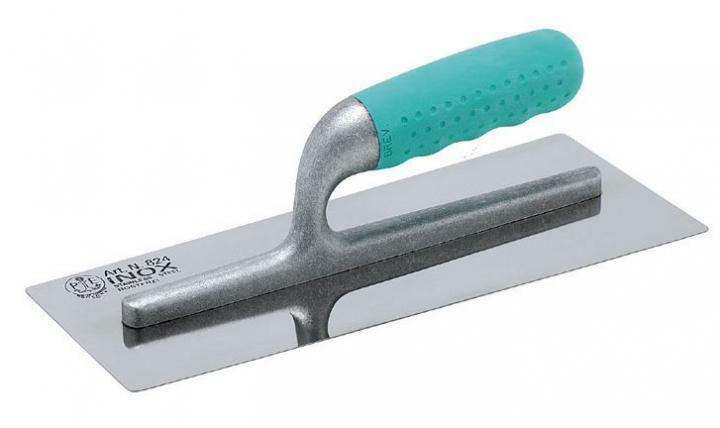 824/I Pavan Trowel rounded corners tapered edges highly flexible sheet hand-friendly American style comfort grip 'Sintesi' rubber handle. 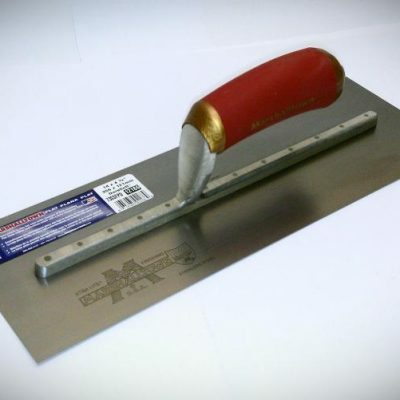 Model.824/I for applying and compacting Marmorino, Stucco Veneziano,Grassello,tadelakt. 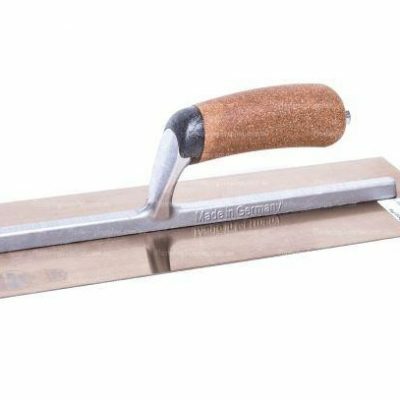 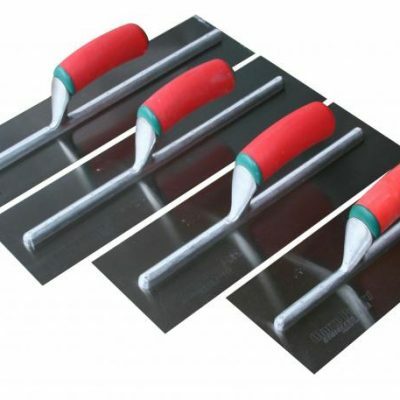 Through a special stainless alloy metal abrasion minimized This trapezoid stainless steel trowel is perfect for application of Venetian Plasters, Grassello, Marmorino, Stucco Veneziano, Lime Ready for smoothing and polishing of marble, Venetian plaster and lime putty.